The 775 Series is an economical yet feature-rich option. Its black enamel manometer exceeds industry standards as well, and comes with a 10-year calibration warranty. 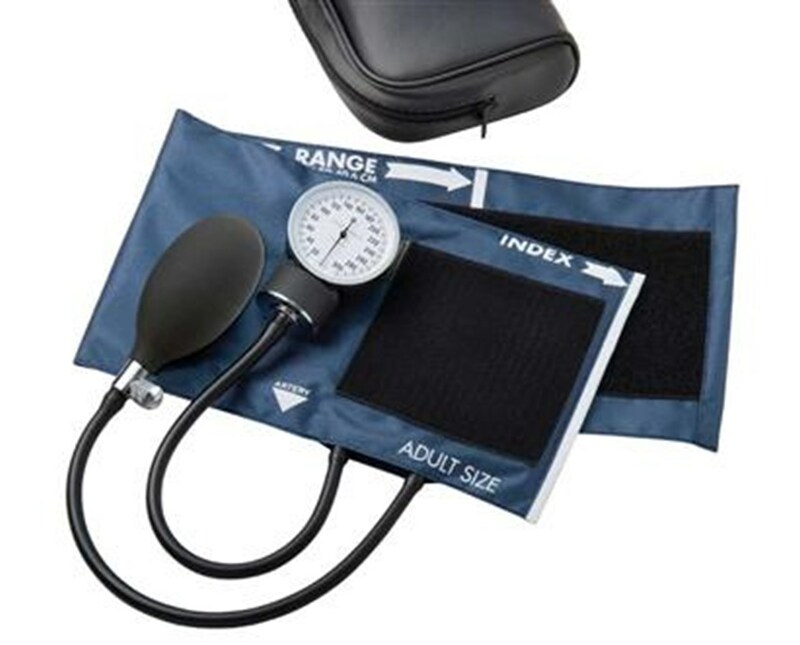 Its navy blue latex free nylon cuff includes an integrated gauge holder and is cleverly marked with range markings to facilitate selection of correct cuff sizes. Cuffs are available in sizes child through thigh. The device is ready to use right out of the box, complete with latex-free inflation system including bladder, bulb, and chrome-plated air release valve. 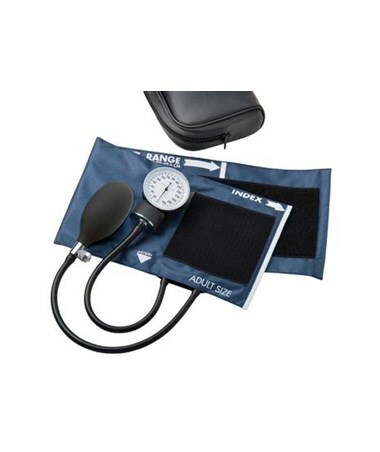 The pocket aneroid arrives complete in a convenient leatherette zippered carrying case for maximum protection, portability, and instrument life. Refer to the charts below to see sizing information and available sizes and colors within each model.